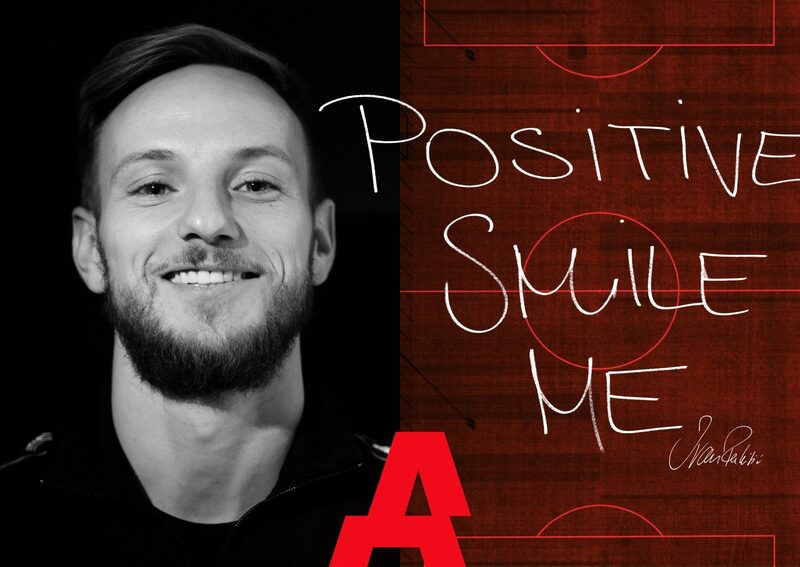 Staying positive, making smiles and being yourself are the traits that Ivan Rakitic uses to excel in his football career. How do you turn losing the World Cup Final into a career highlight? Ask Ivan Rakitic, the Croatia and Barcelona midfielder who uses positivity, a smile and staying true to himself as ways to overcome on-field pressure, heartbreaking losses and fitting into a team. Reflecting on the extraordinary year that was 2018, the 30-year-old still basks in the unforgettable memories from Russia, as well as the euphoria felt back in Croatia. When we started out in the World Cup against Nigeria, we just thought about that game. Of course, we wanted to be world champions, but we were always focused on our next game. There was a really positive atmosphere within the team and this grew as the weeks went on. Time went so fast as we were enjoying every minute of it. I focused on remembering a recent holiday we had or a call I did with them on FaceTime. In the game against Russia the whole stadium was for them which is normal. But it was actually the coolest game for us. The atmosphere was unbelievable and that’s the most important thing. The ultimate present we gave to Croatia was a reason to smile. For a country of four and a half million people we gave them so many really special days. They enjoyed them all much more than we actually did in Russia. “For our arrival in Zagreb it was planned we would take one and a half hours to get from the airport to the main square, but it took seven and a half hours because there were so many people on the road. It was just amazing. “So many people came up to us to say, ‘After these hard years, it’s the best day of my life’. Grandfathers crying, saying ‘thank you’ 20 times over. For us the most important thing was the smiles we gave them. I’ve played in three different leagues, with many clubs, under many coaches and I always prepare my work and prepare what’s expected of me. The pressure can be different, the expectations can be different, but I have to be ready for that. When I come into a new team I just want to show who I am. I would like to do things like Leo (Messi) but I can’t. What I do is give my best for the whole team and just be me. Ivan, thank you for the amazing summer, like you said, you and the whole team put smile to our faces. I will remember as long as I live. And amazing play in Barça. It is beautiful to watch to play.